A debut thriller that channels Gone Girl, from the newest writer to watch, Catherine Ryan Howard The day Adam Dunne’s girlfriend, Sarah, fails to return from a Barcelona business trip, his perfect life begins to fall apart. Days later, the arrival of her passport and a note that reads “I’m sorry—S” sets off real alarm bells. He vows to do whatever it takes to find her. 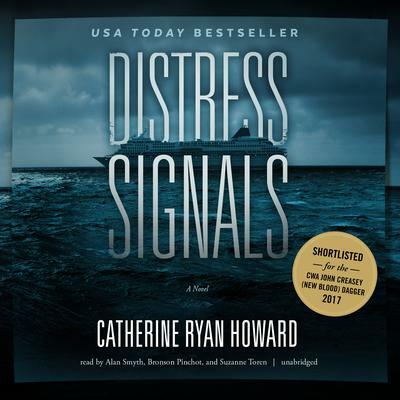 Adam is puzzled when he connects Sarah to a cruise ship called the Celebrate—and to a woman, Estelle, who disappeared from the same ship in eerily similar circumstances almost exactly a year before. To get answers, Adam must confront some difficult truths about his relationship with Sarah. He must do things of which he never thought himself capable. And he must try to outwit a predator who seems to have found the perfect hunting ground. “I loved the voice…[An] engaging, unusual, and believable thriller.” —Sinéad Crowley, bestselling author of Can Anybody Help Me? Many twists and turns, aided by always engaging narrators.